Former Chelsea star Pat Nevin has pleaded with owner Roman Abramovich to give new manager Andre Villas-Boas time to make his mark at Stamford Bridge after being officially appointed on a three-year contract. The 33-year-old former FC Porto coach succeeds Carlo Ancelotti, who was sacked after failing to win a trophy last season despite securing an historic Premier League and FA Cup double 12 months earlier. Nevin told BBC Sport: "I don't think a manager should be given extra time just because he is 33. It doesn't matter if he is 73, I always think a manager should be given time to put his stamp on the team and that doesn't mean six months or a year. "Ancelotti was sacked after one season without success but unless Villas-Boas has an absolute disaster or falls out with everyone then I don't see how that can happen again if he fails to win something in his first season. He should be given time to make his mark. "He has to put his own system in place with his own players and I would say the minimum any manager should get to stamp his impression on a new club should be three years." Nevin added: "There is no God-given right for a manager to win a trophy. Arsenal haven't won anything for a while and they have a very good team and a very good manager in Arsene Wenger." The former Scotland international acknowledges Abramovich might be taking a gamble on the young manager who worked alongside Jose Mourinho at Stamford Bridge assessing opponents, but has been impressed by his work when winning the Europa League with FC Porto last season. Nevin said: "There is always a risk with every managerial appointment and there is here, but he is highly regarded as one of the up-and-coming young European coaches and has been successful in domestic and European competition. He is flavour of the moment and Chelsea have seen something in him." 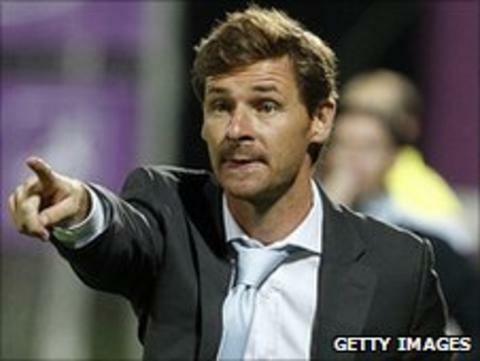 Nevin is not overly worried that Villas-Boas's lack of front-line coaching experience in the Premier League will be a handicap. "It is a slight concern I suppose but no more than that," he stated. "He has worked at Chelsea before, the Premier League is exposed globally to the coaching fraternity and most of all you can look at people like Mourinho and Wenger who had not managed in England before and were very successful." Abramovich will want his new young manager to challenge domestic champions Manchester United and Nevin does not believe Villas-Boas will be distracted by the towering presence of Sir Alex Ferguson as his main rival. He commented: "I don't think he'll care about that one bit. He will only worry about his own team. He will know what he needs to get done and he looks a very confident individual. You don't have to walk around like Mourinho to be confident and the price put on his head in the event of him leaving Porto suggests they were confident in his ability and I'm sure he is as well. "I watched a lot of Porto [last season] and they were the best team in the Europa League by a long way. He may set his team up similarly to a Mourinho team but the methodology is different. Whereas Jose's teams were built from the back, Villas-Boas's were about creation, scoring goals and going forward so it is a really interesting appointment."